Wargaming has over 160 million registered gamers around the world playing its World War II multiplayer action strategy games World of Tanks, World of Warships and World of Warplanes. While many of those players enjoy the thrills of commandeering WWII Sherman tanks or navigating sea battles with a destroyer, Tracy Spaight, director of special projects at Wargaming, told Digital Trends that many players are genuinely interested in military history. “We know from surveys that they like to visit military history museums or watch documentaries about WWII,” Spaight said. “Other players may appreciate our attention to historical detail, but they are more excited about the fast-paced combat or short-session battles. Sometimes players come for the game, but then get interested in the history. And that’s great. Wargaming is investing in WWII history. 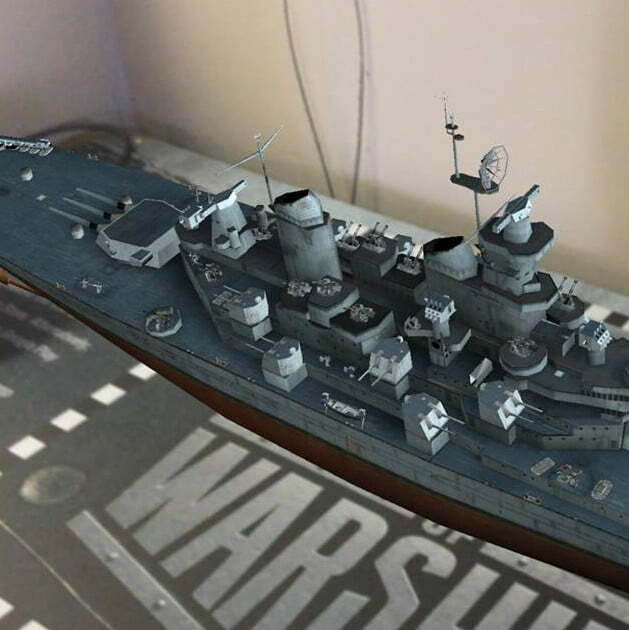 The company just completed an augmented reality (AR) installation on the USS Iowa, the battleship that was part of the Pacific Fleet during the Second World War. It’s now docked in Los Angeles, and serves as a museum run by the Pacific Battleship Center. 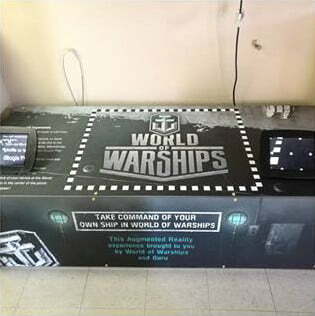 The first stop on the official museum tour features a six-foot-long World of Warships plinth. 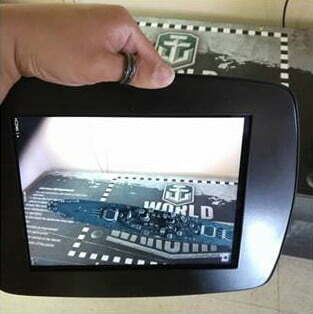 Pointing the attached iPad at the trigger image spawns a matching USS Iowa, pulled from the video game, as it looked during WWII, before its current postwar modifications. It’s also accessible through the official USS Iowa tour app (Android | iOS) that the ship launched with tech company Guru. This is actually one of two Wargaming exhibits on the Iowa. 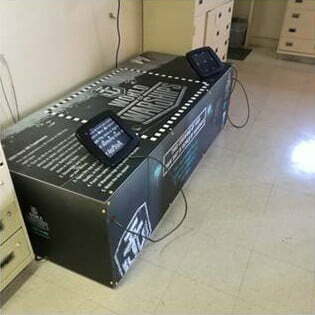 The USS Iowa is Wargaming’s fourth AR initiative in partnership with museums around the world. The game publisher created its first mobile AR experience in 2013 in partnership with the Royal Airforce Museum and a company called Red Loop. The museum had just recovered the only known Dornier 17 bomber, which had been shot down off the coast of Kent during the battle of Britain. Wargaming sponsored the exhibition and created the Wargaming.net Interpretation Zone. In May of this year, Wargaming worked with the National Museum of the Royal Navy in Portsmouth, UK to commemorate the 100th anniversary of the Battle of Jutland. One of the challenges the museum faced is that the Jutland exhibit would open in Portsmouth, but HMS Caroline – the only surviving ship from the battle – is permanently anchored in Belfast, Northern Ireland. This September, Wargaming worked with The Tank Museum in Bovington, England to mark the 100th anniversary of the first battlefield use of the tank. The company held an event in Trafalgar Square with a replica Mark IV tank from the Steven Spielberg movie Warhorse. The quick iterations of technology packed inside today’s smartphones and tablets is opening up new opportunities for Wargaming to bring history alive. Spaight said the introduction of new, more powerful headsets like Meta 2, CastAR and Hololens will also expand the possibilities for museums and at-home AR experiences. Microsoft showcased Minecraft on HoloLens at E3 2015, and that AR headset is already available for developers and businesses. In the future, it will enter living rooms around the world.